Last week, I told you about how I’ve been enjoying raspberries lately and I discovered that I’m not the only one. Several of you told me that you are into them right now as well. When I mentioned it to my mom, she told me that she had just bought a large container of them that very day. So, when I needed to make a dessert to share at a ladies craft night, I knew I had to make something with raspberries. 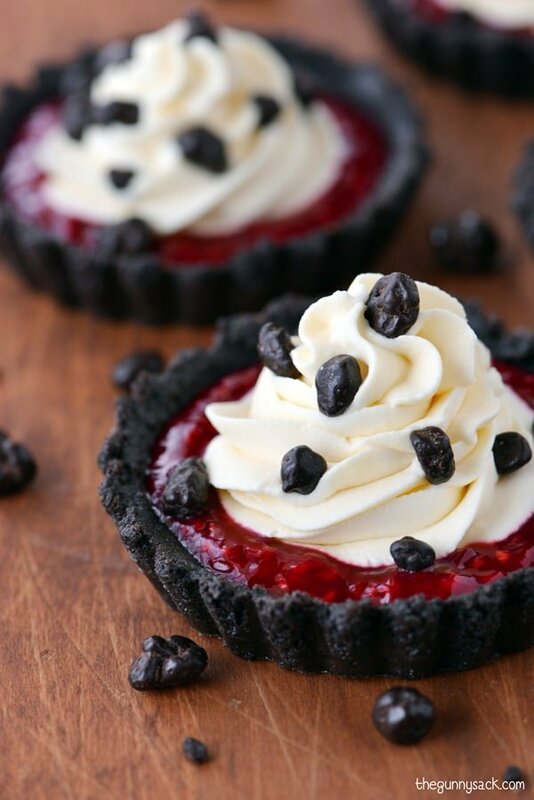 Chocolate is one of my favorite things to pair with raspberries, so I made these Chocolate Raspberry Tartlets topped with cheesecake cream cheese and BROOKSIDE Crunchy Clusters. Almost everyone I know, is a fan of BROOKSIDE products. I often spot them in the homes of my family and friends. A couple of people have told me that they even have a large bag in the break room at their work. Lately, we’ve been enjoying the combination of textures and flavors in BROOKSIDE Crunchy Clusters. They are a delicious on the go snack that is also perfect as part of this dessert I made. 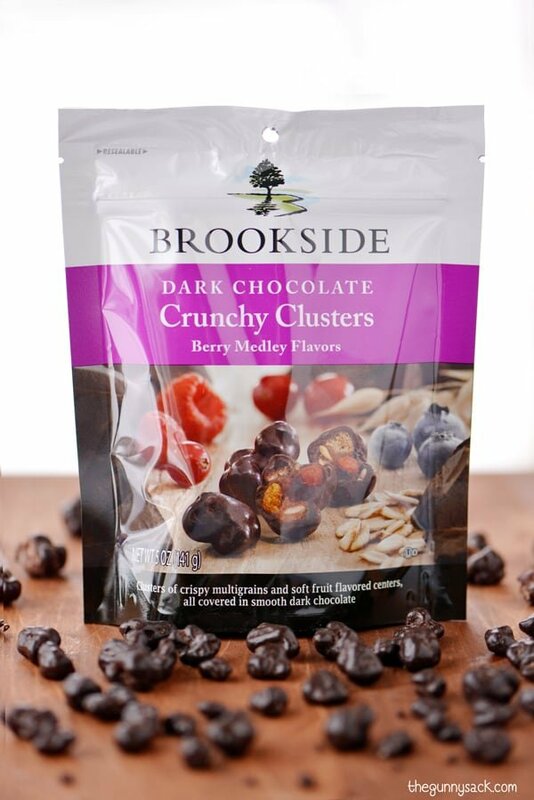 BROOKSIDE Crunch Clusters are clusters of crispy multigrains with soft, fruit-flavored centers and they are covered in smooth dark chocolate. 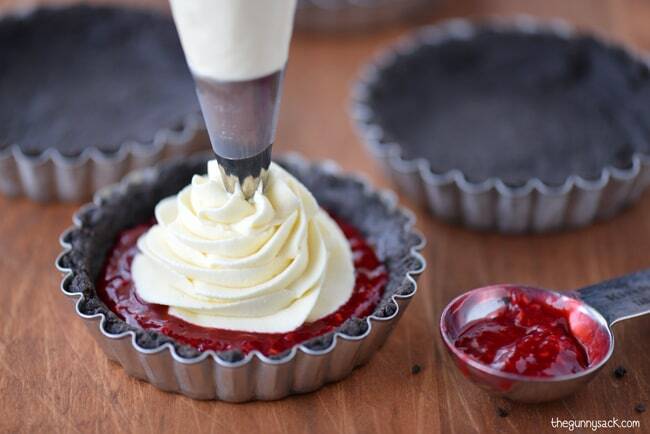 To make the chocolate raspberry tartlets, start by making the chocolate cookie crust. 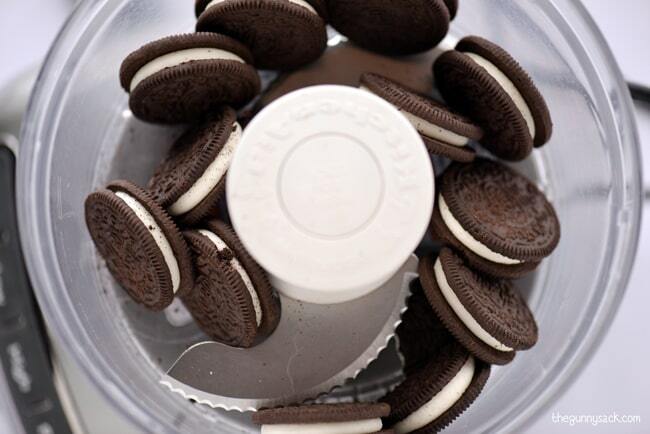 Crush double stuffed chocolate sandwich cookies until they are fine crumbs. Pour the melted butter over the crumbs and stir to combine. Press about two and a half tablespoons into four mini tartlet pans (mine are 3 3/4 inch with removable bottoms). Place them in the freezer to set. While waiting for the crust to set, beat the softened cream cheese. 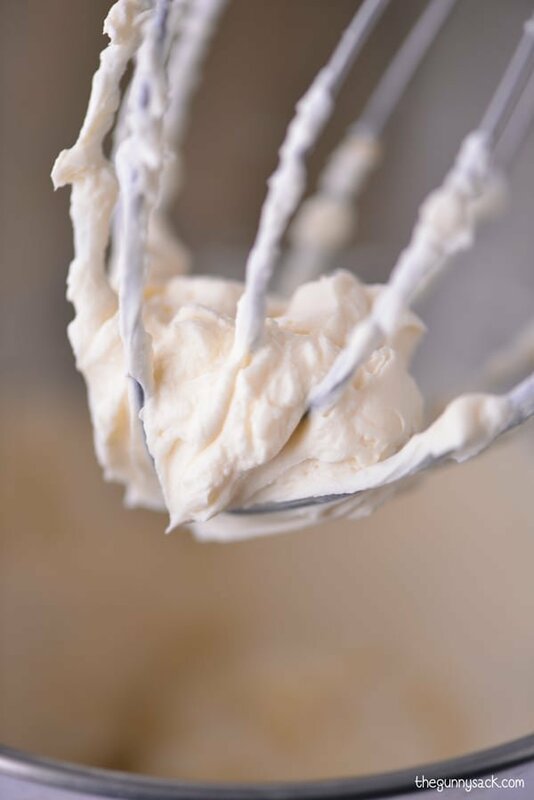 In a separate bowl, beat heavy whipping cream until soft peaks form. Add the cream cheese and beat until stiff peaks form. Then, mix in the powdered sugar and the vanilla. 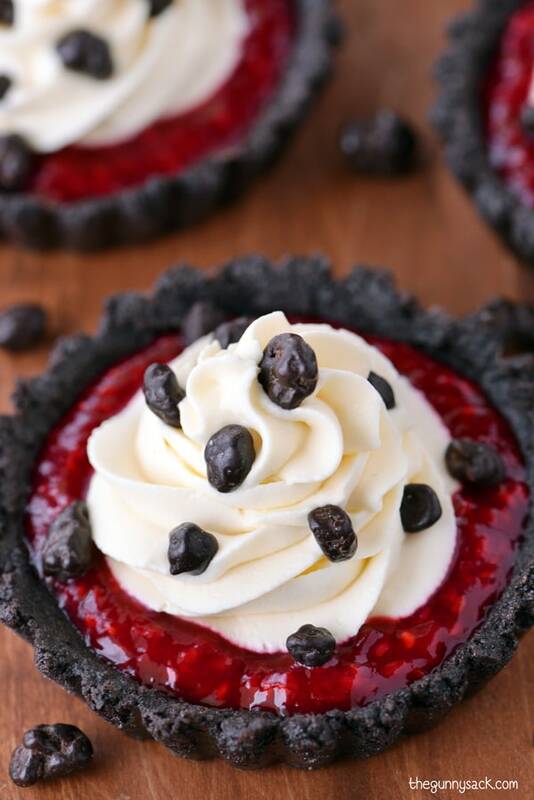 Sprinkle each of the tartlets with BROOKSIDE Crunchy Clusters. Carefully remove the tartlets from the pans. 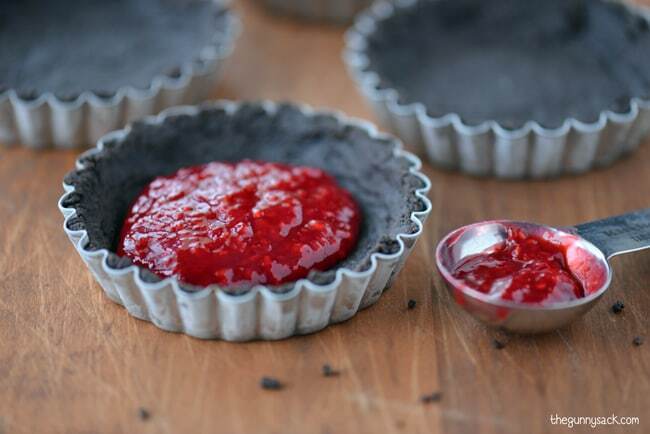 My tartlets have a handy removable bottom, so I gently pressed on the bottom until the tartlets slid out. 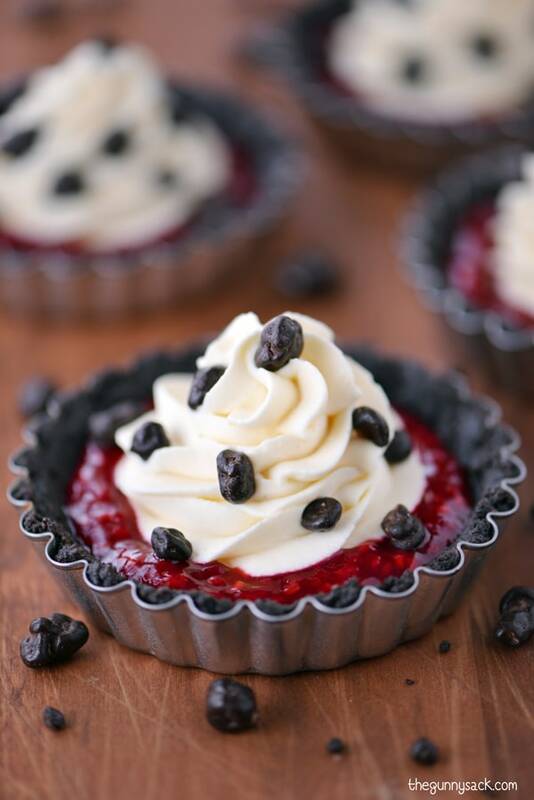 These Chocolate Raspberry Tartlets are the perfect pairing of chocolate, raspberry and cheesecake! Everyone at craft night enjoyed the combination of chocolate cookie crust, raspberry filling, whipped cream and BROOKSIDE Crunch Clusters. I also shared them with my kids and their cousins after school. The kids loved them just as much as the adults did! Form the crusts, by pressing 2 1/2 tablespoons of the cookie mixture, into each of the four mini tartlet pans (mine are 3 3/4 inch with removable bottoms) and place them in the freezer to set. 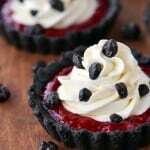 Sprinkle each of the tartlets with 1 tablespoon of BROOKSIDE Crunchy Clusters. These look great but, I thought you’d like to know that you forgot the step in the recipe that says when you put in the raspberrys. Wow, these are just gorgeous!! I am also a huge fan of Brookside! I have some chocolate covered pomegranate seeds in my cupboard! 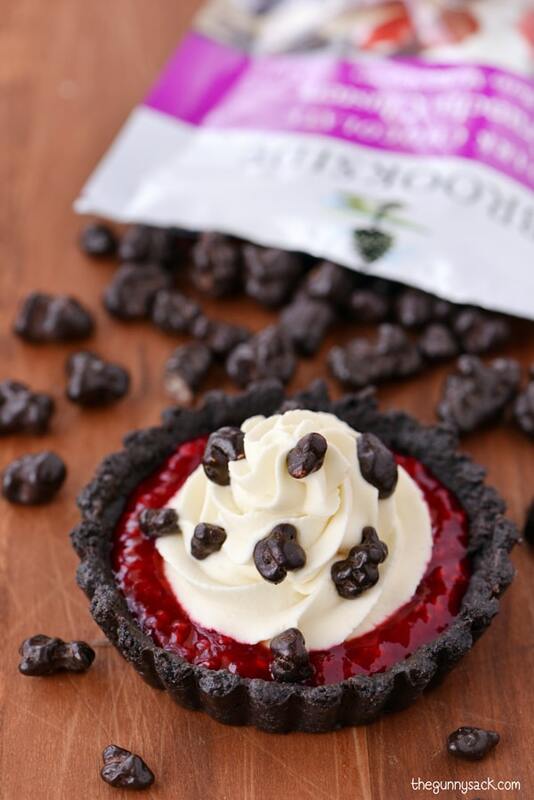 Chocolate and raspberries are a perfect combination. These are just so pretty. The jam makes the prettiest color agains the crust. Love it! pinned! 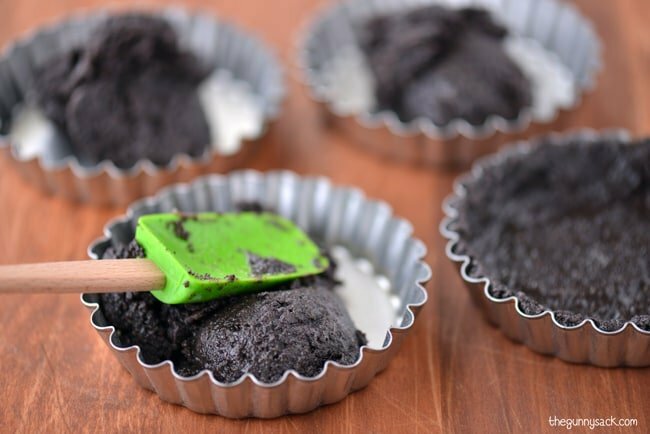 Is there another way to make these besides using a tartlet pan? Maybe mini muffin tins? Yes, you could use a muffin tin. The tricky part will be getting the desserts out of the pan. I would suggest using a cupcake wrapper to line the muffin tin. Thanks Eileen! oh wow, these are looking gorgeous and so yummy!!! The pictures are just mouth watering…. YUM!!!! These are to die for! Can’t wait to try them! Thank you Becky! We loved them! Brookside is my favorite! How can you go wrong with chocolate and raspberries? They tarts are so pretty too! I love it when desserts are pretty and super yummy! Thanks! I agree! But once I took a bite, I no longer cared! Thanks Kacey! Wow, wow, wow! That vibrant raspberry filling looks just amazing. Oh and that cheesecake whipped cream is simply genius! Thank you Shinee! Yup, I think that filling is so pretty too! It sure would! I used to think that strawberry and chocolate was my favorite, but not any more! Thanks Heather! These look incredible! Love how easy they are! I know!! Isn’t that great? Thanks Jessica! These are absolutely beautiful! My family would be pretty excited if I made these for Valentine’s Day. I was a little surprised at how much the kids loved them! Thanks! I’m really enjoying your love of raspberries right now. This is perfection. Me too…but wait…there’s more (coming soon)! Thanks Jocelyn! What a beautiful dessert! I love those tartlet pans and need to find them. Pinning! Thank you Joanie! I found them at a small kitchen store at our local mall. Oh. My. 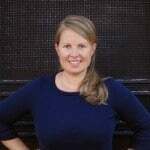 Tonia, these look absolutely divine!